The application process for a psychology degree has many steps. Those applying to undergraduate programs should focus on applying to the university itself, while those applying to graduate programs need to tailor their applications to specific psychology departments. Typical items in an application package include transcripts, test scores, and letters of recommendation. International students interested in studying psychology in the U.S. face a competitive market. Psychology is a particularly popular area of study, and universities have only so many slots available. That is why the application process for a psychology degree is very important—it is what allows one to be able to study at the program one prefers. One's application package should both demonstrate ability and explain how the student answers the question "why study psychology?" for him or herself. In what follows, we will look at helpful advice about how to put together an application package for both undergraduate and graduate psychology programs in the U.S. Most undergraduate programs in the U.S. do not require a departmental application process for a psychology degree. However, there will be an application process to be admitted into the university more generally. Once the student is enrolled at the university of their choice, he or she can typically choose to pursue any major they would like, including psychology. 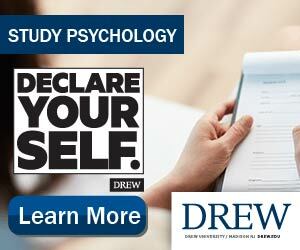 Many schools will have students sign a form declaring psychology as the selected major. However, there typically are minimal or no limits to entry into the program, though there are often achievement requirements to stay in the program (e.g. maintaining a certain GPA). Some schools might require international students to provide TOEFL Test scores, as well. The application process for an advanced psychology degree is more substantial and more competitive, as the best and brightest from many different undergraduate programs are applying to only a select number of graduate programs. There is often a fee ranging anywhere from ten to one hundred U.S. dollars or more just to file an application. Students usually must take the Graduate Record Examination (GRE) test, and often the psychology portion of the GRE as well, and submit their scores. International students should submit TOEFL Test scores if there is any reason to believe their scores on the verbal section of the GRE test will not be sufficient. Furthermore, students will often need to submit a letter of intent, sometimes called a statement of purpose, in which students answer the question of why study psychology in their own words and describes their interests in the department to which they are applying. Students will also need a curriculum vitae and transcripts from their undergraduate program. Finally, they might also need to submit a writing sample demonstrating one's potential for future research. Students will need letters of recommendation—somewhere between two to four of their former instructors or other respected individuals. When asking someone to write a letter, be sure that this person will write a very good and supportive letter. Tepid letters often stick out and can be quite damaging to a student's application. However, many faculty members and instructors will be happy to help and will provide very strong letters. Different programs will weigh the various aspects of one's application package differently. Some might emphasize test scores and GPA while others might value the letter of intent or writing sample more. There is really no way to tell how the review committee will weigh various items when one is applying, so the best advice is simply to do the best on each separate application requirement. Both undergraduate and graduate programs will provide deadlines for applications. These will vary among departments so be sure to check department websites for specific information. As always, students are encouraged to research individual school websites or to e-mail current staff or students at departments in which they are interested in studying to learn further details about the application process. Learn more about studying psychology in the USA by reading our growing article collection. « Study Guide by Subject	« Study Psychology in the U.S.
Over time we will be updating this section and including more information for those who want to study psychology in the USA and for other countries, but please feel free to post your thoughts and comments on our Facebook fan page, and also follow us and post questions through Twitter. Visit the Study in the USA School search to find schools that offer programs of study in Psychology.